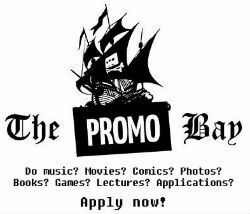 This week saw the launch of The Promo Bay, an artist promotion initiative supported by The Pirate Bay crew. The website is entirely dedicated to promoting the work of independent musicians, filmmakers and other content creators. They get to showcase their work to an audience of hundreds and thousands of people at no cost. Initially, the promos were submitted through The Pirate Bay’s website but when the project grew too big it was outsourced to Aussie entrepreneur Will Dayble. He will now be in charge of sifting through the thousands of submissions and picking the best ones to feature on the Pirate Bay site. However, if something doesn’t change, those submissions won’t include those from the many thousands of UK artists who might want to benefit from this unique opportunity. It turns out that the Promo Bay website is being blocked be several Internet providers, showing a similar message people get when they try to access the Pirate Bay site. TorrentFreak was able to confirm the blocks for BT, Virgin Media and BE, but it’s possible that more providers are also blocking the Promo Bay. The most plausible explanation is that the Promo Bay domain is listed on the same blocklist that’s used to enforce the Pirate Bay blockade. In April, the UK High Court ruled that several of the country’s leading ISPs must censor The Pirate Bay since the site and its users breach copyright on a grand scale. Soon after, Virgin Media, BT, Everything Everywhere, Sky Broadband, TalkTalk, BE and O2 all blocked access to the world’s largest BitTorrent site. Several of the site’s IP-addresses and domain names were rendered inaccessible. Promo Bay’s Will Dayble believes his site has ended up on some of the ISPs’ blocklists “by accident”. “These providers are pretty monolithic and old school, I’d imagine it’s just a broad-scale block against a bunch of Pirate Bay properties and we fell under the net. I doubt it’s a pointed move against the Promo Bay in particular,” Dayble tells TorrentFreak. If that’s the case then the ISPs in question may reconsider their blockade as the Promo Bay is helping, not hurting content creators. Also, the website is hosted on separate servers that have never been controlled by the Pirate Bay crew. Whatever the reason, Dayble hopes that BT, Virgin, BE and others will correct their mistakes so that UK artists can submit their work as well. “Here’s hoping some clever tech in their ranks does something about it,” Dayble says. Time will tell whether the ISPs in question will pick up the hint. Otherwise the Promo Bay may need a proxy of its own. Update: The Promo Bay started a petition to get their site unblocked. Update: As mentioned by Craig McLeod in the comments, on BT promobay.org is blocked but www.promobay.org isn’t. This is different from the other blocked domains, and suggests it was added later.